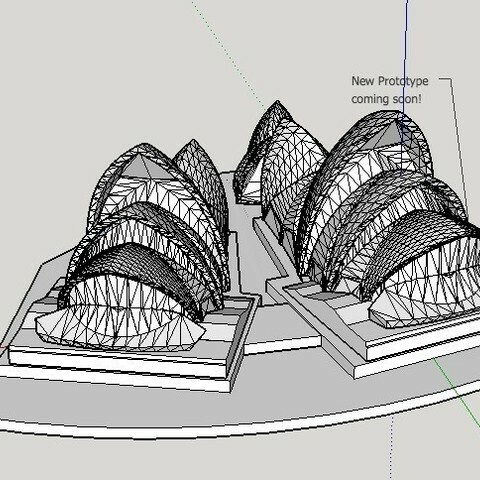 The Sydney Opera House spectral structure I visited while with my cousins. It takes your breath away from a distance, but is even more magnificent when your visit it. It is hard to imagine how some architect visualized such an abstract structure, and even hard to think how it was built. It has a very original and creative design, and I wanted to capture it. 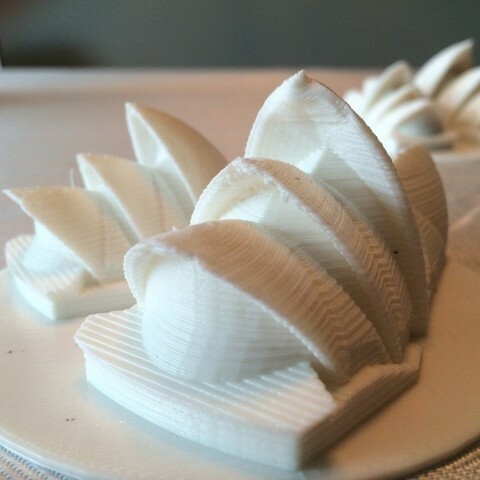 It is one of the most amazing man made marvels of the world, and I am excited to present this model. 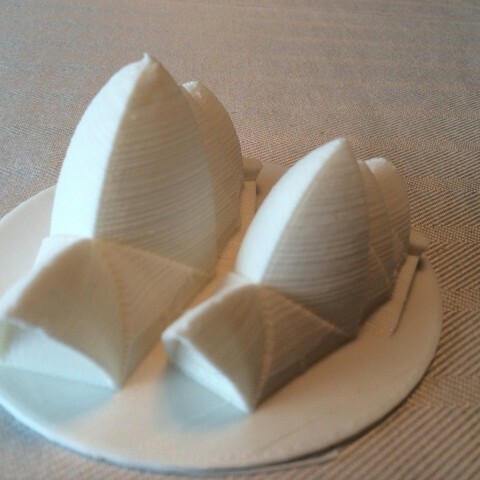 Printed on a prusa i3 Einstein from "Marko's Hub" check out skp images of my new work in progress prototype. 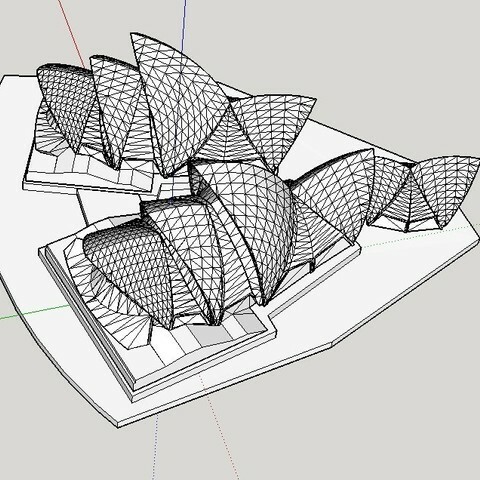 The curves of the roof tops had to be developed in a creative way, as the were taken as slices of an oval sphere, and matched to the shape of the actual opera house. I tool my pieces and compared it to an existing google earth model. 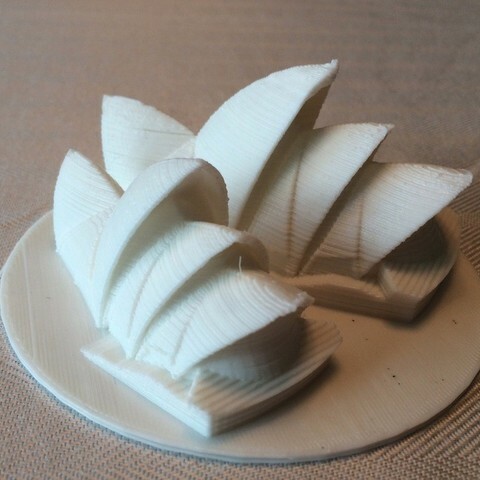 The google earth model itself could not be used because it had too many internal structures and hidden geometry, and printing it failed, so I had to design my own model. The rest of the model model was quite difficult to construct. Originally, it though I could just connect the rooftops and make one solid model, but I was so wrong. I forgot the pieces in between and the one solid model also failed. 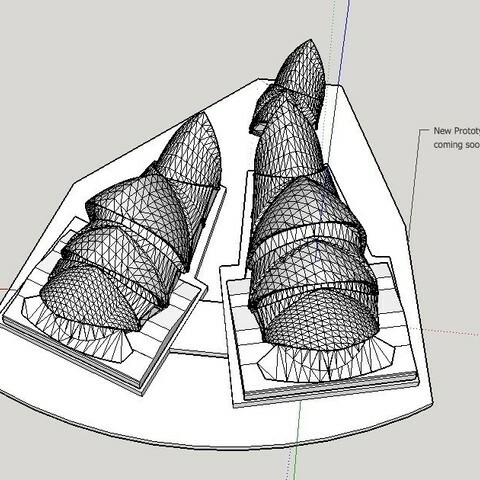 Therefore, I had to copy the roof and make another shell, so now the roof actually had thickness and could print instead of just being lines. 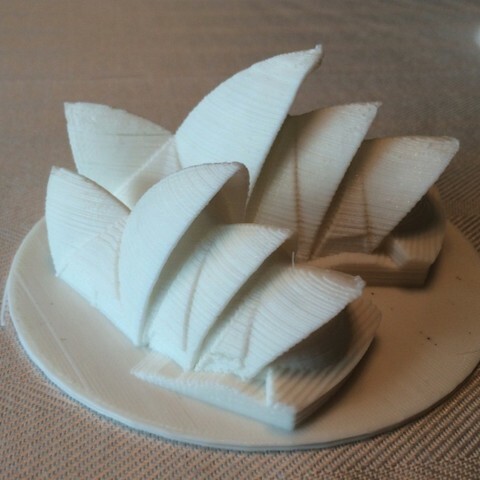 Then I tried to make the base of the structure as the original Sydney Opera House, but that failed. 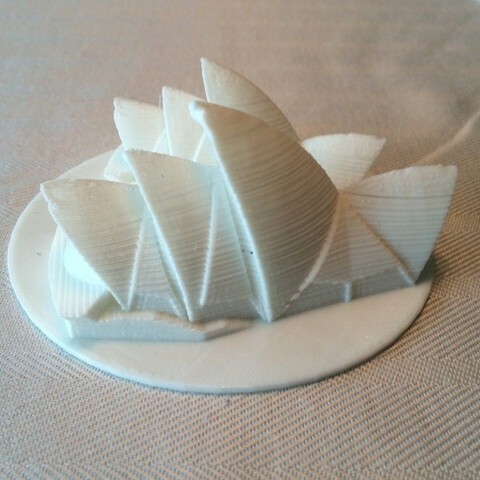 I have temporarily just used a circle as a base because other people in who have made an opera house model did so too, but am working on a more realistic base for the structure. Through this experience I have learned a lot about 3D modelling and new softwares, not to mention numerous new techniques. 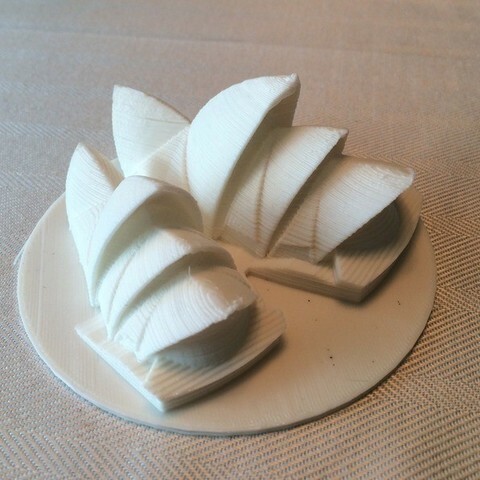 I hope you enjoy my adaptation of the Sydney Opera House, and watch out for updates in the future. 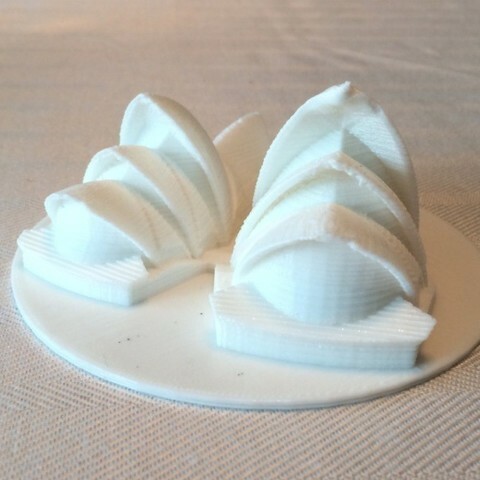 NO supports or rafts are require. Make sure to LAY FLAT and ON PLATFORM. Press print and you are ready to go! Enjoy!